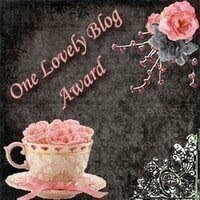 For the “One Lovely Blog Award” you need to: * Thank & link to the person that gave you the award. * Pass this award on to 15 fantastic bloggers you’ve recently discovered. * Contact said Blogs and let them know they’ve won. For the “Beautiful Blogger” award you need to: * Thank & link to the person that gave you the award. * Pass this award on to 15 fantastic bloggers you’ve recently discovered. * Contact said Blogs and let them know they’ve won. * State 7 things about yourself. I am a wife to one and a mother of two (ages 7 and 4). I currently live outside Washington D.C. I am an educator, and though I have left the classroom, the classroom has not left me! My first book, Teaching Comprehension With Nonfiction Read Alouds: 12 Lessons for Using Newspapers, Magazines, and Other Nonfiction Texts to Build Key Comprehension Skills , will be published in September, 2010. I knew I wanted to be a teacher in third grade. I never wavered. I loved my job in the classroom, but I’m thankful to be able to be home with my kids. I love that I have been able to translate my passion for teaching into new experiences, while staying home. I am a life-long learner! This entry was posted on April 1, 2010 at 3:56 pm and is filed under blog awards. You can follow any responses to this entry through the RSS 2.0 feed. You can leave a response, or trackback from your own site. Congrats on your awards and thank you so much for sharing! It always makes me smile when I receive one of these awards. So thank you so very much! Well, here I am thanking the person who gave me this award! I can certainly understand why your blog was chosen, Dawn, as you provide all sorts of goodies for parents and give us ideas we can incorporate into family life. I appreciate your hard work, and am honoured that you think my blog is fantastic too. Thanks so much for thinking of me, Dawn. I appreciate it! And it’s nice to be in such wonderful company! thank you, thank you, thank you, my friend!! You are too sweet–and yes! I would love to go for coffee or dinner sometime soon! We’re so close! I love the 7 things you wrote about yourself. It’s great to get to know you better! Dawn, Thank you so much for the award. This was a really great surprise … and a perfect end to my week!